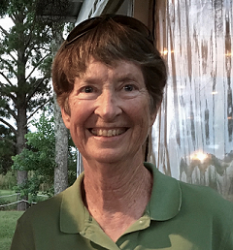 Mimi Fearn is a retired Associate Professor of Geography from the University of South Alabama. She was chair of the Department of Earth Sciences at USA from 2006-2014. Mimi received her Ph.D. from Louisiana State University in 1995. She is a past president of Dog River Clearwater Revival (1999-2004), and currently serves on their advisory board and as their water monitoring coordinator. She also volunteers with Alabama Water Watch and the Mobile Bay National Estuary Program. Mimi loves retirement because it gives her time for bicycling, kayaking, gardening, and taking her two border collies to the beach.